Congratulations to owner Kaleem Shah and trainer Simon Callaghan on Bellafina’s victory in the Grade 2 Las Virgenes Stakes at Santa Anita on Saturday! Bellafina, the 1-9 favorite, held off Enaya Alrabb for a 3/4-length victory in her second start of the year, boosting her career earnings to over $820,000. 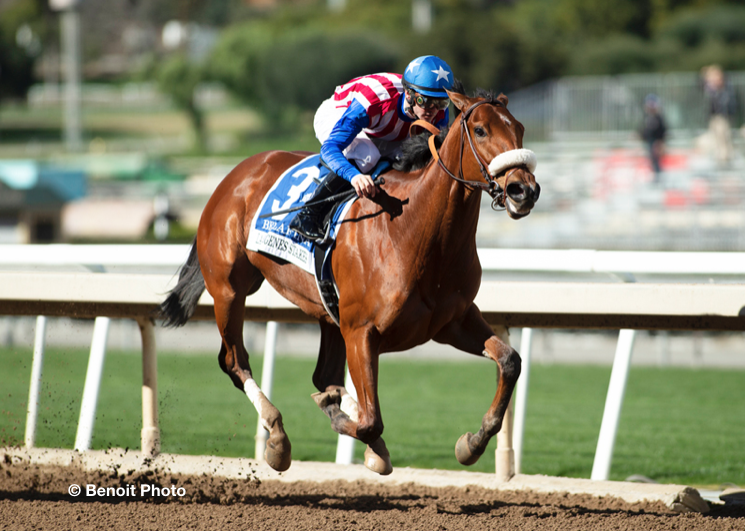 The win also earned her 10 points on the Road to the Kentucky Oaks.